"Mina is a pleasure to work with. Will definitely do business with again." 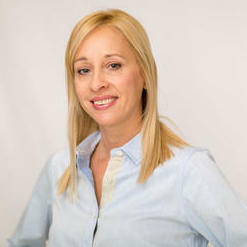 From working at a renowned immigration law firm in Boston, to heading the employment-based services at the University of California Berkeley, to advising startups on immigration and business-related matters, Mina has secured temporary visas and green cards for hundreds of software engineers, scientists, marketing and operations personnel, researchers and faculty, for nearly 10 years. She is an expert on international student and scholars transitioning to a temporary work visa and permanent residence. Born in Bulgaria and educated in the U.S., Mina brings a personal immigration story, an entrepreneurial spirit, and the capacity to relate to… read more a broad range of people from all over the world. "Mina and her partner Summer are top notch. Very clearly explained the process for us and were able to put together an application package for my employee that we feel puts our best foot forward. Great dynamic duo for small businesses looking to sponsor any H1B Visas." "I consulted with Mina regarding a prospective TN visa. She explained the pros and cons of applying for TN by entry and filing a TN petition. She analyzed the employee's qualifications and clearly spotted the issues at hand, which had to be addressed upfront. I would recommend Mina to anybody who is looking for efficient, reasonably-priced immigration attorney. She was responsive and pleasant to work with." "Mina helped us with a TN change of employer petition. She explained the issues clearly both from the employer and employee's perspective. She responded promptly and processed the case in less than a week. Mina was knowledgeable and efficient and I would recommend her without hesitation to other companies who need business immigration advice." "Mina was very pragmatic and responsive. I've worked with 4 immigration attorneys before, and Mina and her colleague Sommer were the best." "I would highly recommend Mina to any company or individual who needs expert immigration advice. Mina was in charge of our employment-based department at the Berkeley International Office. She filed hundreds of temporary visas (e.g. H-1B, TN, O-1 and E-3) and permanent immigrant visas (e.g. Labor Certification, Outstanding Professor or Researcher. Alien of Extraordinary Ability, and Alien of Exceptional Ability) on behalf of the University of California, Berkeley. Mina redesigned our visa forms and documents and was instrumental in the implementation of an electronic paperless visa request system, which reduced processing times, improved efficiency, and saved the University a lot of resources. Mina handled all cases professionally and efficiently and was able to think outside the box when a challenging situation arose. Personally, Mina is detail oriented, attentive, and easy to work with. She was very resourceful and knowledgeable about employment-based immigration, while she remained empathetic and kind to our client's needs. Your company would greatly benefit from her services. Ivor Emmanuel, Director, Berkeley International Office"
Manage a boutique business immigration law practice, and provide legal advice focusing on employment-based and family-based immigrant visa petitions. Prepare and advise on employment-based nonimmigrant visa petitions sponsored by the University of California Berkeley, including H-1Bs, O-1s, and TNs, among others. Managed all employment-based nonimmigrant and immigrant visa petitions sponsored by the University of California Berkeley, including H-1Bs, O-1s, TNs, OPRs, and PERM cases. Assisted with full range of employment-based and family-based immigrant visa petitions, with emphasis on PERM, NIW, OR, EA, Schedule A, H-1B, L-1, TN, and O-1. Conducted immigration law research, drafted legal documents and clients’ explanatory letters on immigration and nationality law.